Jupiter Yacht Club is the premier Intracoastal condo community with it's own marina as well as a small section of shops and restaurants on site. This Jupiter condominium consists of 5 buildings with the last condos being built in 2006, and ranging in size from 2,000 to 3,000 sq. ft. Each has their own special features and host of amenities. There is a fitness center in building 600/700 and a 9 person theater. The Pointe Building was the first building built in the Jupiter Yacht Club and the closest to the Intracoastal. Large pets welcome! Browse condominiums for sale in Jupiter Yacht Club, or read more about the outstanding marina and amenities offered by this Jupiter Intracoastal property. A prime location for sports fisherman and yachting enthusiasts alike, Jupiter Yacht Club Marina and condos offer a harbor tucked away in a tranquil, tropical setting just off the Intracoastal Waterway. Only one mile from the Jupiter Inlet and historic Jupiter Lighthouse, this marina contains 79 slips ranging in size up to 65 ft. in length. All Slips at Jupiter Yacht Club Marina are individually owned with some available for sale or rent by the owners. What makes the Jupiter Yacht Club so exciting is the new restaurants and shops that have moved into the Jupiter Yacht Club in the past few years. The Dive Bar offers outside seating overlooking the beautiful marina which is filled with spectacular boats. The indoor bar is perfect for Sushi and drinks. The French Restaurant, Cafe Des Artistes is popular among folks looking for a five star experience with both indoor and outdoor sitting. Visit the Virtual Global Art Gallery which houses original works of art from local artists. Virtual Global Realty, the on site real estate company for Jupiter Yacht Club condominiums is located there also. Visitors stroll along the Jupiter Riverwalk which runs through the Jupiter Yacht Club and along the Intracoastal past Jupiter Harbour. Eventually the Riverwalk will take you down past the new Harbourside Place and down to the funky fishing village which will be home to several Jupiter waterfront restaurants. Let me help you find that perfect Jupiter Yacht Club condo with an amazing view of the Intracoastal as well as proximity to local venues and the beaches. Just a short walk away along Jupiter Riverwalk is the new Harbourside Place with several new restaurants with outdoor seating overlooking the water as well. Within just a short walk you will have nearly a dozen Jupiter restaurants to dine at. 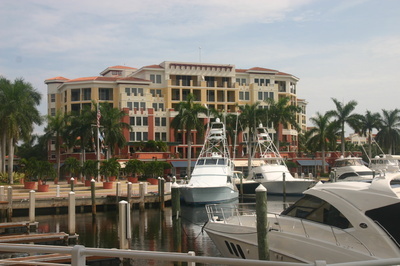 The Jupiter Yacht Club has become the In town condo with upscale living. Makes sure you stop and visit the condos in Jupiter Yacht Club. It is a beautiful walk through the community and the condos offer spectacular views and walking distance to all your needs. Call me to show you Jupiter Yacht Club condos for sale. Only a short bike ride to the beaches you will have the best of both worlds living in the Yacht Club. You may want to look at other Jupiter luxury condos such as Ocean Royale Condos, Jupiter Ocean Grande or the Carlyle on Jupiter Island. With so many choices in a short radius you will find Jupiter Island condos down to Singer Island condos just a 15 minute ride. See more beachfront condos in Highland Beach or oceanfront condos in Boca Raton. Downtown Boca Raton will feature city living condos where you can walk to shops and restaurants. If you have questions, or would like to view a condo in Jupiter Yacht Club, please don't hesitate to email or call Jim at 1-561-744-7025 for assistance. Listing information last updated on April 24th, 2019 at 10:45pm EDT.